Sunday morning I was fortunate enough to catch Andrew Phillips and Tiggy Johnson’s ‘Storm and Honey’ in which the talented pair read from their new book ‘That Zero Year’. Enjoyed this performance immensely! I also caught the tail end of MC Lady Lazarus and DJ Thought Fox as Ted Hughes and Sylvia Plath which I enjoyed as well and wished I had have seen more of. 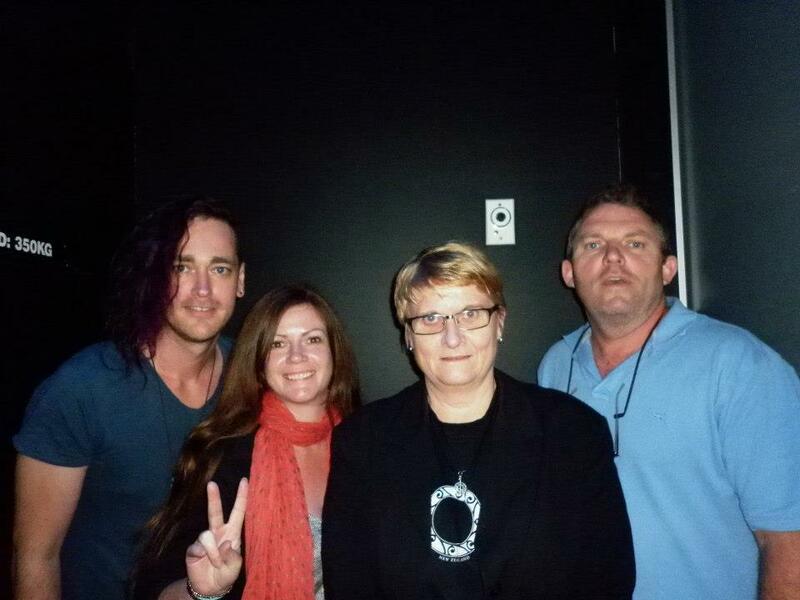 Immediately after it was show time for me and my fellow ‘Whisper me Awake’ poets Nathan Curnow and Jill Jones. I thought it lovely to be invited along as the warm up act for these two wonderful poets 😉 I was first up however, and although it was difficult to see who was out there during my reading, I was touched afterwards by the number of people who came up to say they had enjoyed my set. I read primarily new material from Confessional Box, but opened with a few old favourites from Feeding Paper Tigers. This was probably the most comfortable I have felt in a feature length set and just as well considering it was the theatre space of the Judith Wright Centre. It was a truly great experience. The benefit of going first was that I could then sit back and enjoy the performances of Nathan and Jill with nothing to distract me. I loved how each of us was so different and yet how we fitted together perfectly. JK was also a great host for this session. My work done it was time to relax and mingle and enjoy further conversations with the crew over lunch. The poetry world is an incredibly supportive one and to all those who I chatted with and who gave me great advice and encouragement – thank you. That sort of thing is priceless and means so much coming from respected peers. The chats were so good it meant I completely missed the 2pm sessions, but I did get along to ‘Through these paper walls’ with Robert Adamson, Charmaine Papertalk Green and Paul Summers which was a great way to close out the day.